Site 3, Hubbard. 50 ha. 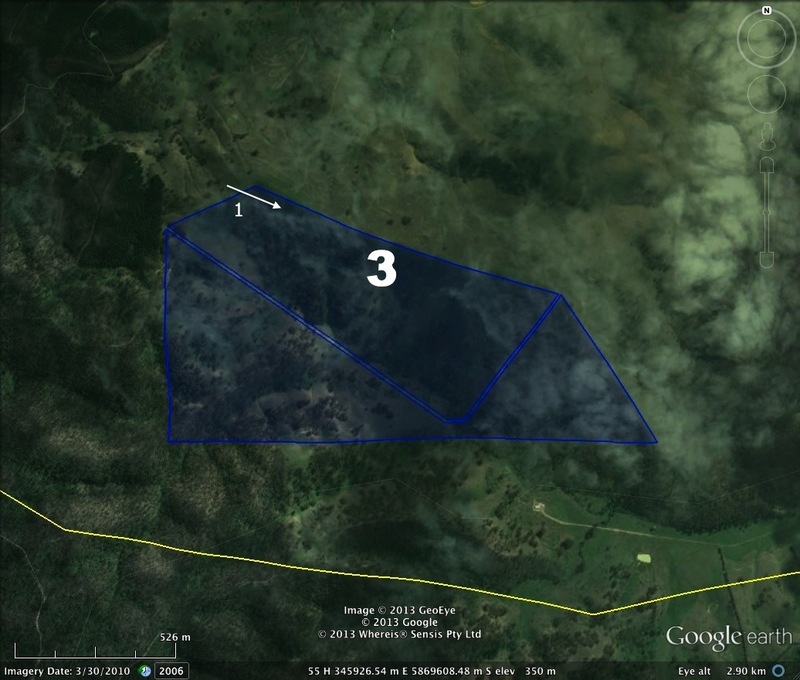 Theme 2, modified grazing practices, to allow natural regeneration of woodland vegetation. The Hubbard sites are remnant woodland and open pasture on steep hills and gullies. Large cleared patches require rehabilitation. The site is part of a ‘corridor’ that links Mt. Disappointment State Forest to the King Parrot Creek. Predominant species: Long-leaf Box, Broad-leaf Peppermint, Blackwood, Bracken, with some Silver Wattle and Common Cassinia, even Mint Bush near State Forest. Good native grass content, and native ground cover among bush remnants. The site perimeter is partly fenced, but requires ‘internal’ fencing to manage stock access. Site 3 has 1 photo-point, with several more planned. PP1: 55H 345328.40 m E, 5870081.00 m S.
Photo-point 1. Site 3, Feb 2013. 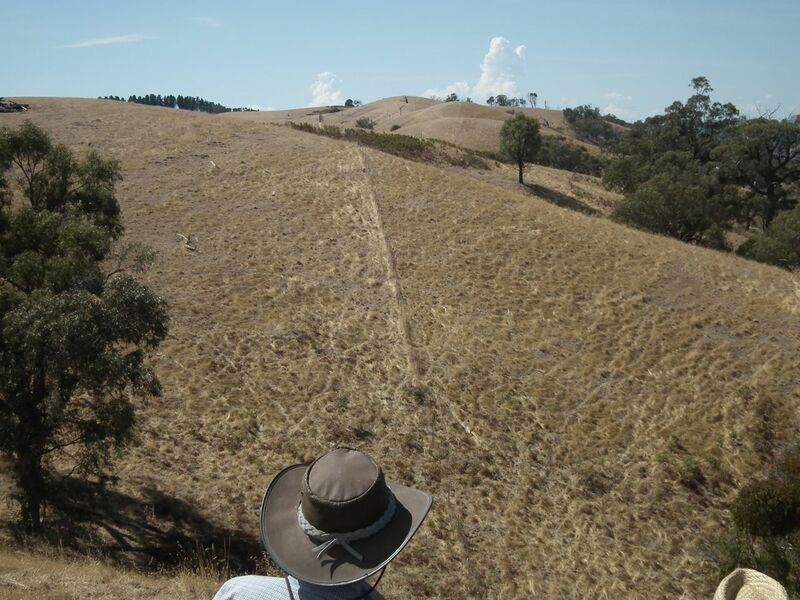 Indigenous seedlings planted: Nil; this site is using sheep grazing to manage the Grassy woodland vegetation.